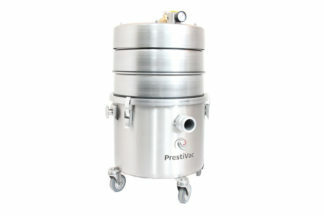 Intrinsically Safe Vacuum Prestivac AV1-10 EX RCT is certified Class I Division 1 for Hazardous Locations. A portable air-operated and powerful suction high-performance vacuum cleaner. Equipped with cart and removable recovery tank. 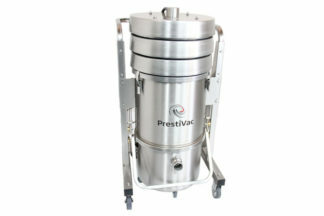 All Stainless steel construction with automatic filter shaker. 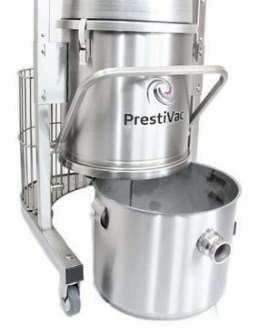 Check out the Class I, Division 1 Intrinsically Safe Vacuum Prestivac AV1-10 EX RCT high-performance vacuum cleaner. Made of stainless steel that makes it very solid yet easy to clean. 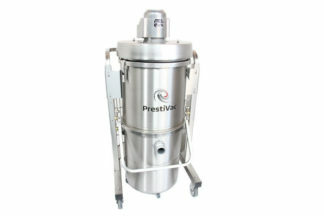 With its drain valve assembly and RCT Removable Collection Tank system, makes it convenient to empty and clean. It ain't stopping there, the 3-year warranty will surely give you peace of mind. 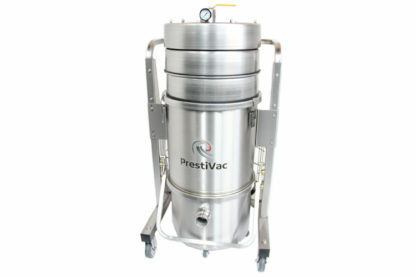 Dust ignition protected vacuum models just like this safe vacuum cleaner model are specially designed to safely vacuum flammable, combustible dust. It is completely grounded and static dissipating because, in the first place, they are made completely with non-sparking metals and do not have any painted components so there is no risk of fire or explosion from a spark or static build up. Every electrical component is protected by enclosure so there is no source of ignition and this includes the motor and starter. This vacuum cleaner is complete with accessories such as Static Dissipating Air Line hose 0.5” x 25’, Static Dissipating suction hose assembly 1.5” x 10’, Crevice tool ESD safe, Round brush ESD safe, Double Bend Wand ESD safe, and Floor Tool ESD safe. 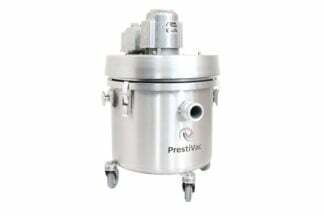 Intrinsically Safe Vacuum Prestivac AV1-10 EX RCT is certified Class I Division 1 vacuum cleaner specially made for hazardous area. 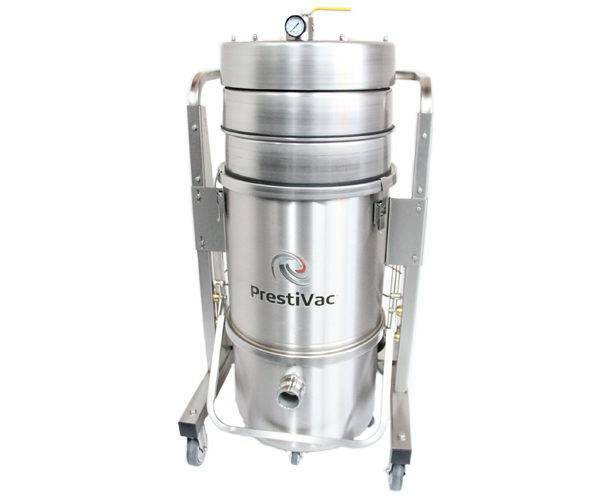 I feel safe when using it in our work environment because it’s explosion proof/dust ignition proof specifically designed to safely vacuum explosive, flammable, combustible dusts. I have peace of mind because it’s not just durable made of stainless steel but it has a 3 year warranty! That’s great deal.